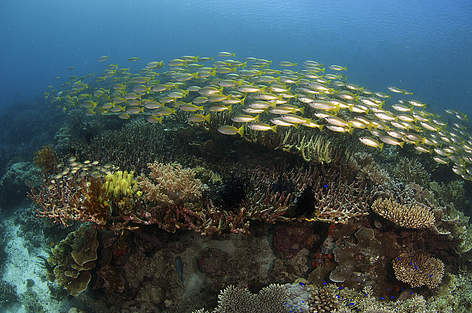 The coral reefs of the Sulu Sulawesi Marine Ecoregion, at the Apex of the Coral Triangle, are among the most biodiverse in the world. Malaysia is essentially a maritime country. 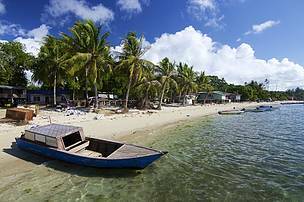 Spanning more than 19 degrees of longitude, with more than 4600 kilometers of coastline and bordering four major large bodies of water (Straits of Malacca, South China Sea, Sulu Sea, Sulawesi Sea). Malaysia has more sea area (including the claimed EEZ) than land territory under its control. Malaysians derive more of their protein from fish than any other country in Southeast Asia (World Resources Institute 2006). Parts of Malaysia’s seas fall within two Global 200 ecoregions (Andaman Sea Ecoregion, Sulu-Sulawesi Sea Ecoregion) and Malaysia is an integral part of the ecological Coral Triangle. With so much sea area, marine conservation and sustainable management of marine resources are important. Considering that some of Malaysia’s seas lie within one of the most biodiverse regions of the world, marine conservation in Malaysia is globally critical. The SSME programme focuses activities on two priority conservation areas, Kudat-Banggi and Semporna, and the live reef fish trade. 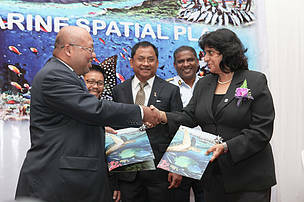 The Peninsular Malaysia Seas Programme (PMSeas) based in Petaling Jaya had two project sites in Terengganu and Melaka. The Terengganu team worked on the conservation of the endangered green sea turtles (Chelonia mydas) and the critically endangered painted terrapins (Batagur borneoensis) at two sites (Ma’Daerah and Setiu respectively). In Melaka, the team worked together with local partners to protect the critically endangered hawksbill turtles (Eretmochelys imbricata). The state has the biggest nesting population of this species in Peninsular Malaysia and the project focused on several nesting beaches in the state. Both projects analysed turtle nesting and bycatch trends, and used satellite tagging and on-board fisheries observer programme to study turtle foraging areas and migratory routes. In addition, the PMSeas programme was involved in a national level sustainable fisheries programme, which aimed to transform fisheries policy through a combined approach of direct management agency action and engagement with the private sector and consumer awareness. In East Malaysia, the Sulu-Sulawesi Marine Ecoregion (SSME) Programme was based in Kota Kinabalu and ran two field projects in Kudat-Banggi Priority Conservation Area (PCA) and Semporna PCA. At both PCAs, WWF-Malaysia worked with local communities, local and state government agencies, as well as the private sector to improve management of important and threatened ecosystems and species. In 2014, the PMSeas and SSME Programmes merged into one Marine Conservation Programme. WWF-Malaysia adopted an integrated approach towards its marine work that focused on “transformational” strategies to bring about change needed to create conservation impact at scale across Malaysia. TS1: Fisheries subsidies reform and implementation of Ecosystems Approach to Fisheries Management (EAFM): Effective marine conservation can support food security and sustainable livelihoods in key fisheries in Malaysia through redirecting current investments in the fisheries sector to promote sustainable fishing by small scale and commercial fisheries. The strategy will also look into aquaculture subsidies to promote best practices to cater for local and international markets that demand more sustainably farmed products. TS2: Sustainable seafood through business and industry engagement: Using business and industry engagement to transform business practices so that markets for sustainable seafood can be sustained and production impacts can be reduced in Malaysia. 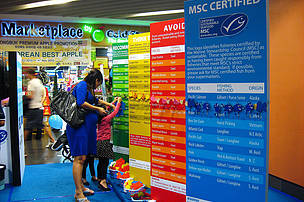 Consumers can also be assured of seafood safety through establishment of seafood traceability. TS3: Sustainable seascapes through Integrated Ocean Management (IOM): Demonstrating the effective implementation of the Malaysian Ocean Policy through district level comprehensive ecosystem based coastal and marine spatial planning to produce “win-win” outcomes both conserving biodiversity and fostering economic activities that are compatible with ocean health. TS4: Phase out licensed turtle egg collection, working towards a federal ban on egg trade: Conservation of endangered turtle species population within priority sites through the phase out of licensed turtle egg collection and working towards a national ban in egg possession. In 2017, the Marine Programme transitioned into Phase II, focusing on three strategies towards sustainable use of marine resources, protecting important and threatened marine habitats including coral reefs and mangroves; as well as saving endangered species. Please see [CMW1] here for more information. The marine conservation programme in WWF-Malaysia comprises the Peninsular Malaysia Seas Programme and the Sulu-Sulawesi Marine Ecoregion (SSME) Programme. 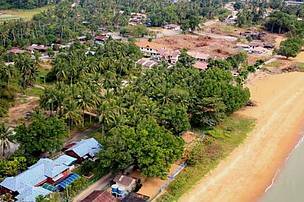 Both of these fall within the area of the Coral Triangle Initiative and support the Malaysian Coral Triangle National Plan of Action and the Sulu-Sulawesi Marine Ecoregion Tri-national Conservation Plan. 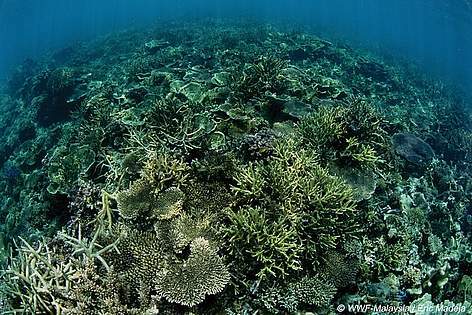 These two priority areas capture more than 50% of Malaysia’s coral reefs and 75% of fish landings. Primary targets, including biodiversity features such as species, habitats and ecological process, have been decided with a process of internal and external stakeholder consultations, alignment to the SSME, Coral Triangle and WWF Global Programme Frameworks. The Peninsular Malaysia Seas Programme is based in WWF-Malaysia's Petaling Jaya Office and has projects in Terengganu and Malacca states. The Terengganu projects focus on green turtles and painted terrapins at two sites (Ma’Daerah and Setiu respectively). The Malacca project focuses on hawksbill turtles on several nesting beaches in the state. 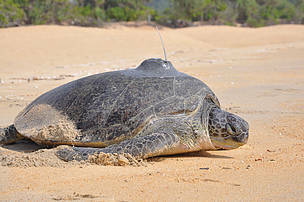 Both projects analyze turtle nesting trends, bycatch trends, and foraging areas and migratory routes using satellite tagging and on-board fisheries observer programmes. A national level sustainable fisheries programme is focused on changing fisheries policy through a combined approach of direct management agency action, engagement with the private sector and consumer awareness. The Sulu-Sulawesi Marine Ecoregion Programme is based in WWF-Malaysia’s Kota Kinabalu Office and has field projects in Kudat-Banggi Priority Conservation Area (PCA) and the Semporna PCA. In both PCAs, WWF-Malaysia works with local communities, local and state government agencies and the private sector to improve management of important and threatened ecosystems and species. A Sabah-wide Live Reef Fish Trade Programme works with fishermen and traders to improve the sustainability of the industry.